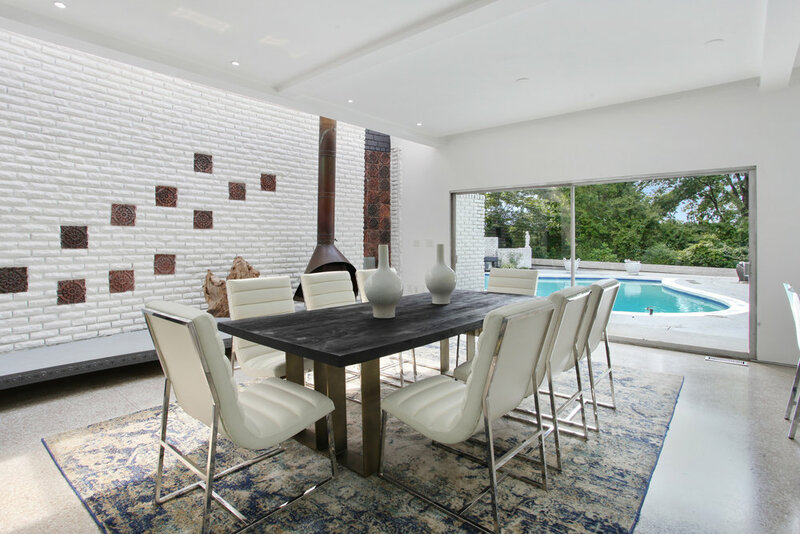 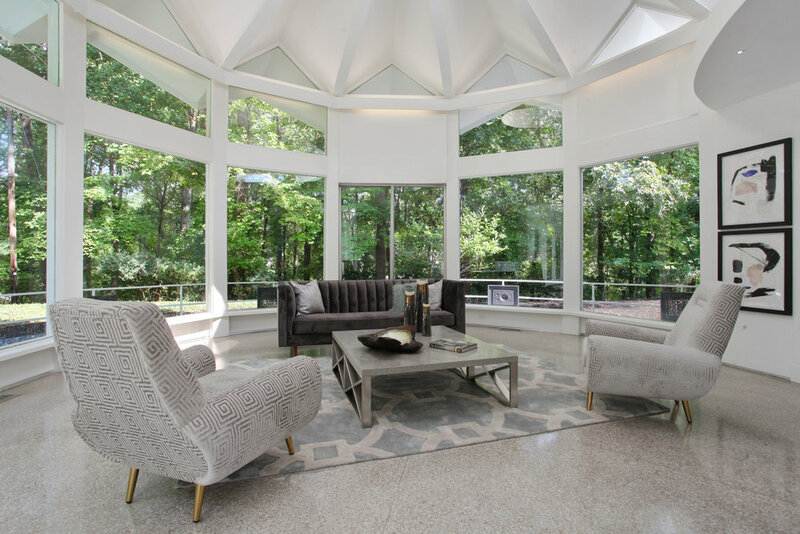 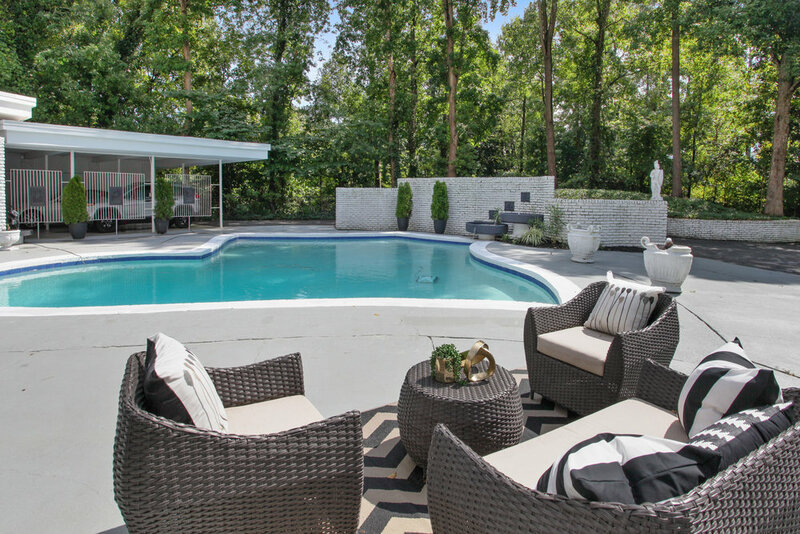 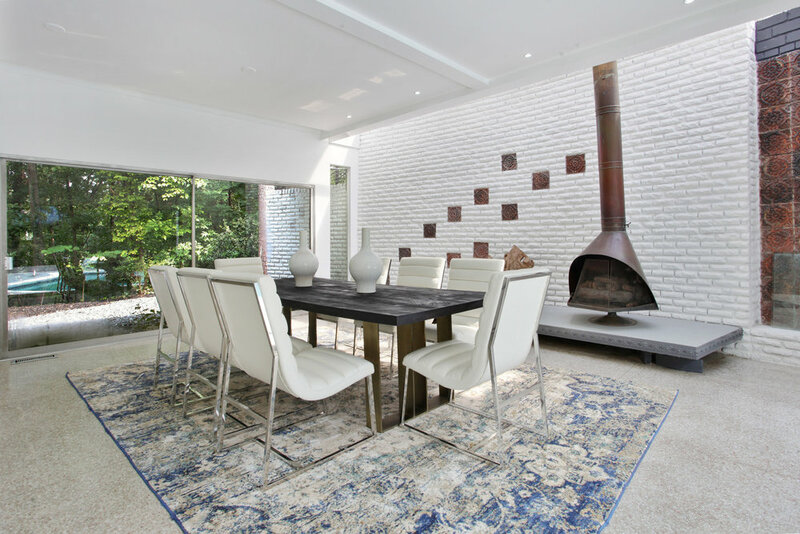 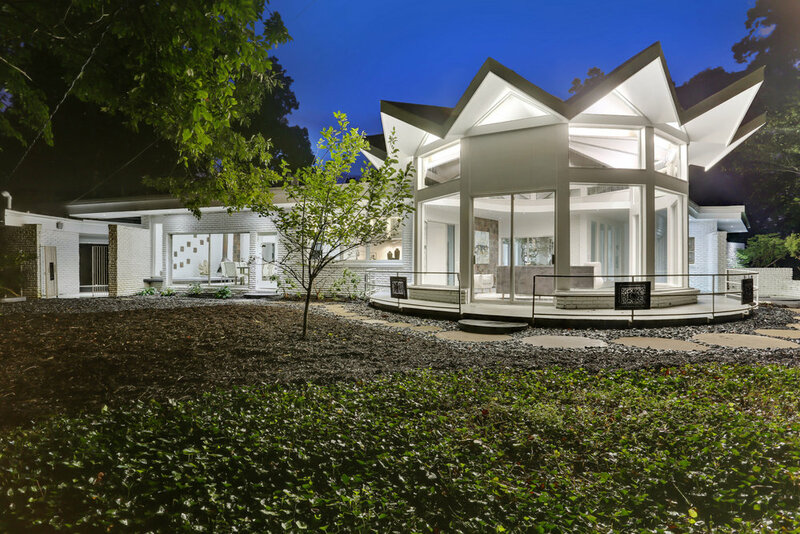 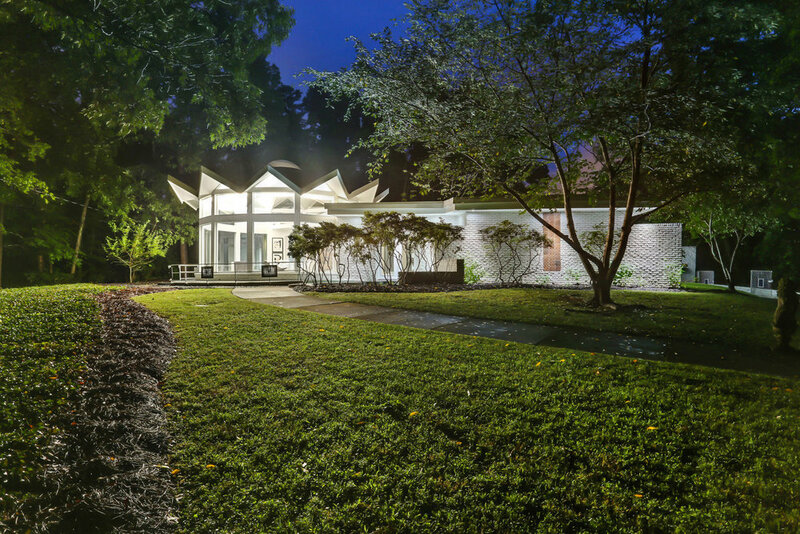 Captivating mid-century modern nestled on a supremely private three and a half acres in the heart of Buckhead. 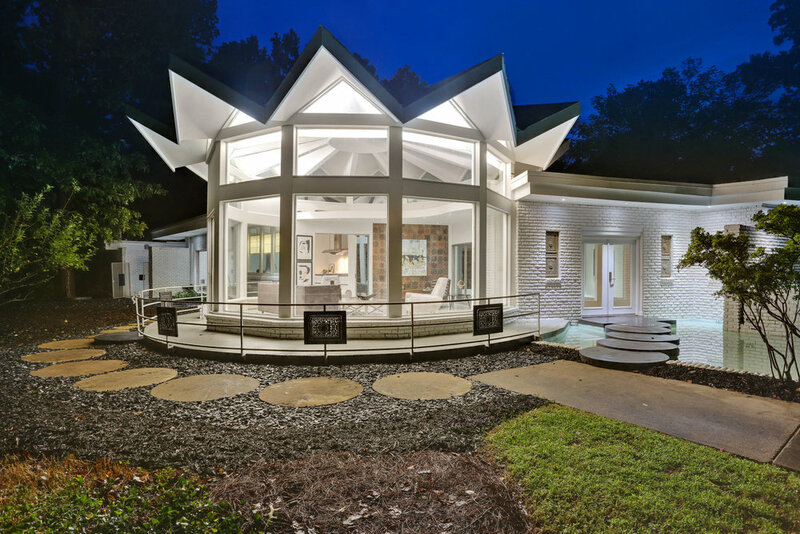 Designed by renowned architect Cecil Alexander, whose work includes Coca-Cola headquarters, AT&T headquarters and the razed Fulton Co. Stadium. 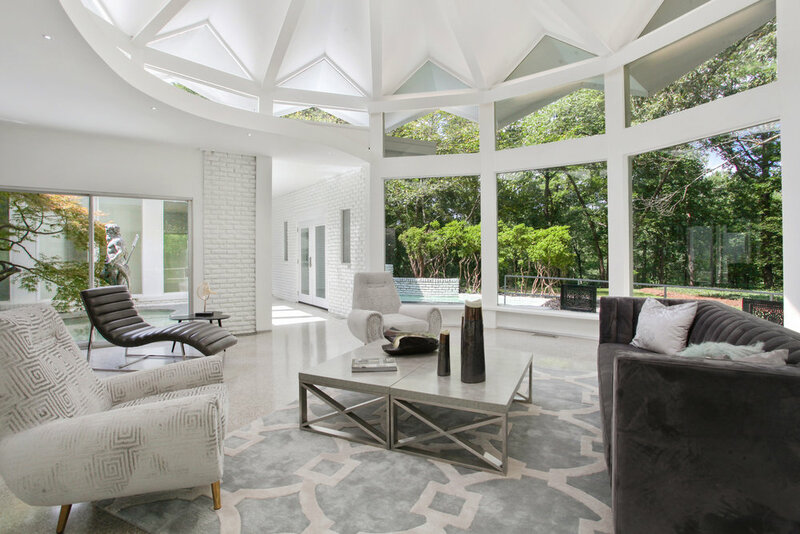 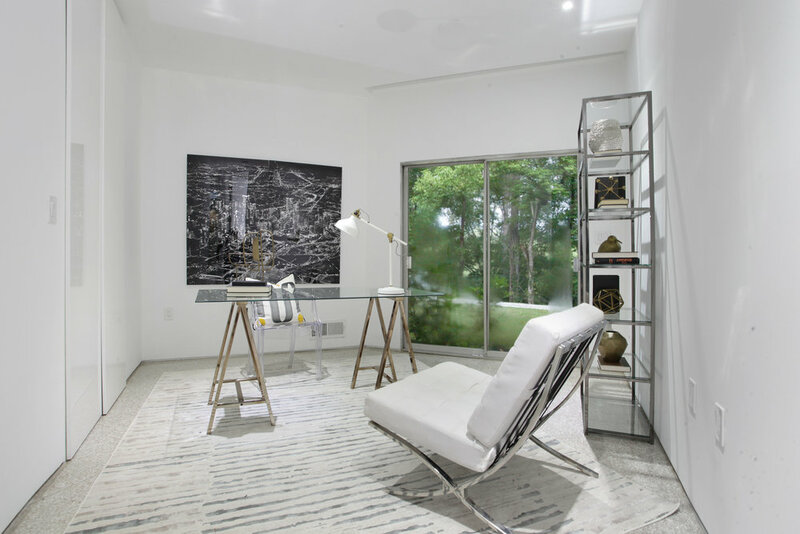 Stunning solarium featuring folded-plate clerestory ceiling flanked by floor-to-ceiling windows lending to magnificent sunrise and sunset views. 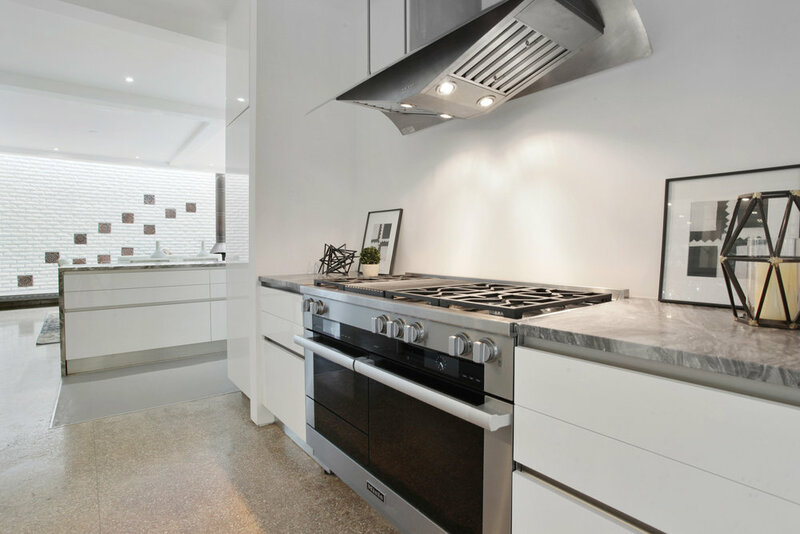 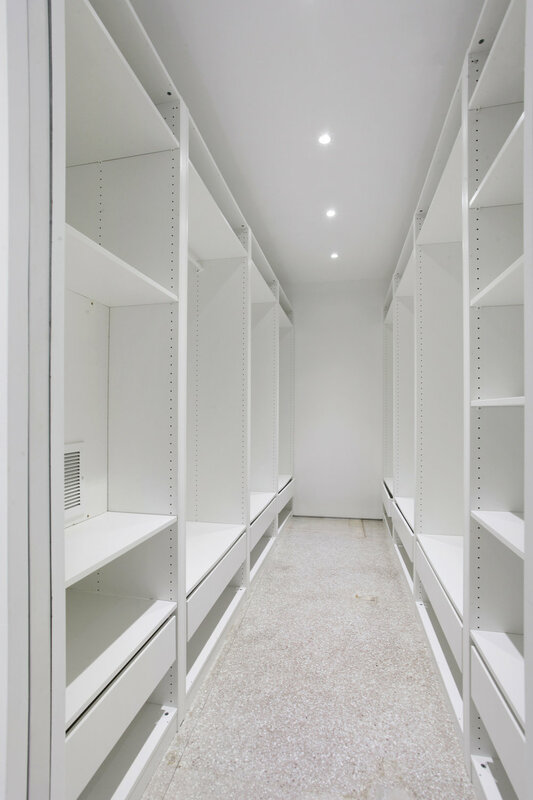 Recent renovation boasts gorgeous designer kitchen and baths. 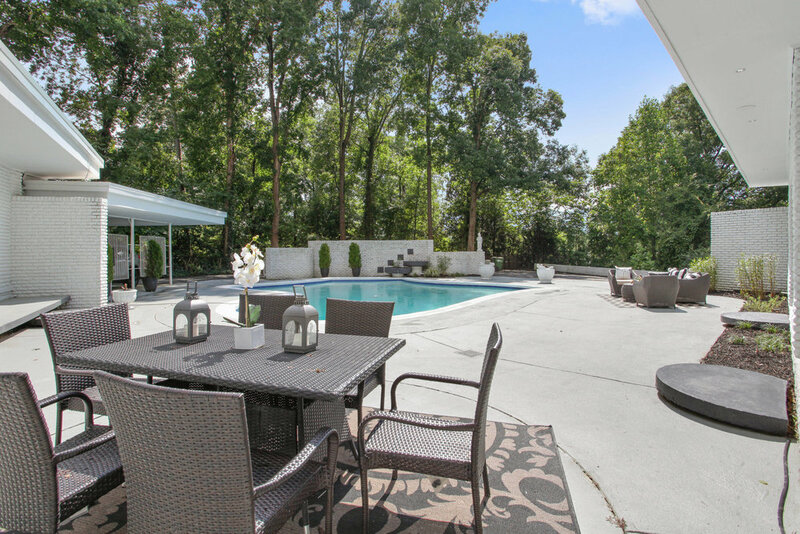 California-style living with walkout-level courtyard saltwater pool and abundance of entertaining space. 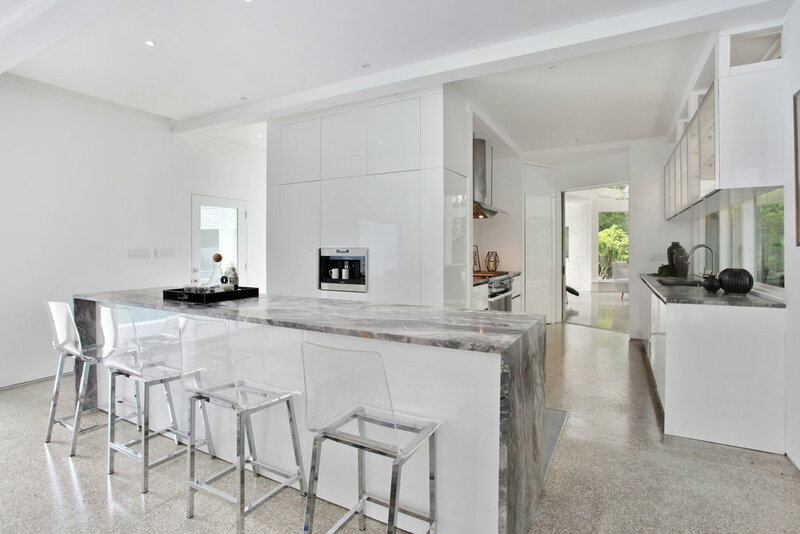 Steel frame construction.